Step back into time when life was hard, but the simpler things in life were most appreciated. The 26th Annual Red Steagall Cowboy Gathering! Entertainment and fun for the entire family. Where else can you go where the festivities begin, 5 days prior, with a Wagon Train traveling across Texas and arriving in the historic Forth Worth Stockyards on Friday, October 28th? 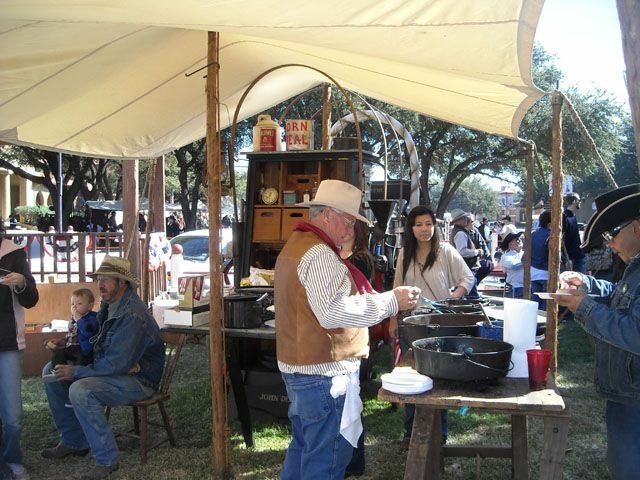 Chuck Wagons and chuck wagon cooking, cowboy trappings and trade show, Rodeo, Western Swing Festival, Team Roping, auctions, music, poetry, children's activities, Cowboy Church and more. Click on the above photo for a printable event schedule for this three day event! Created and presented by the Mustang Heritage Foundation (MHF), the purpose of the Extreme Mustang Makeover competition is to showcase the beauty, versatility and trainability of the American Mustangs who roam freely on public lands throughout the West where they are protected by the Bureau of Land Management under federal law. The BLM periodically removes excess animals from the range to ensure herd health and protect rangeland resources. Thousands of the removed animals are then made available each year to the public for adoption. Over 6,700 Mustangs have been adopted through Mustang Heritage Foundation events and programs since 2007. 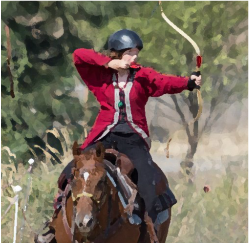 This 100-day wild horse training competition will offer two divisions. Youth, ages 8-17, will compete in-hand with a mustang they have adopted and adults, ages 18 and over, will compete with their assigned mustang in a series of preliminary classes for a spot in the Top-10 freestyle finals performance. This event will award $25,000 in cash and prizes. All adult mustangs will be available for adoption after the finals performance via public competitive bid. Representatives from the Bureau of Land Management Wild Horse & Burro Program will be on site to approve interested adopters. Saturday, May 20th is an exciting evening of freestyle competition and adoption! All events throughout the weekend are free except for the freestyle finals performance. Tickets may be purchased in advance or on-site. All seats are general admission. Children 5 years and under are free. The Mustang Open Show, a show produced and hosted by the Mustang Heritage Foundation, will be held in conjunction with the Extreme Mustang Makeover in Florida. 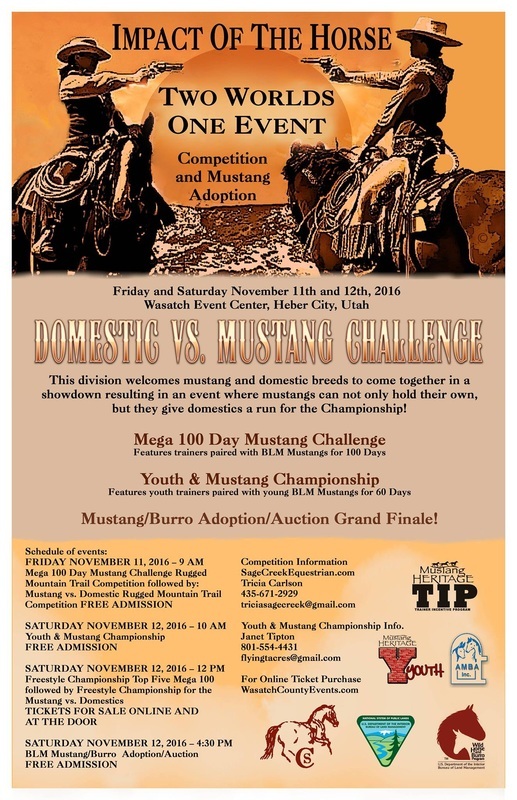 The competition is open to competitors 8 years and older and any previously adopted mustang or burro with a BLM freeze mark. The competition is intended to allow adopters the opportunity to interact with other mustang enthusiasts and provide show experience for their animals. The competition is divided into three divisions including in-hand, walk-trot, and walk-trot-lope with each division divided into trail, pattern and freestyle classes. Saturday, June 16th is an exciting evening of freestyle competition and adoption! All events throughout the weekend are free except for the freestyle finals performance. Tickets may be purchased in advance or on-site. All seats are general admission. Children 5 years and under are free. Trainers will compete with their assigned mustang in a series of preliminary classes for a spot in the Top-10 freestyle finals performance. This event will award $25,000 in cash and prizes. All adult mustangs will be available for adoption after the finals performance via public competitive bid. 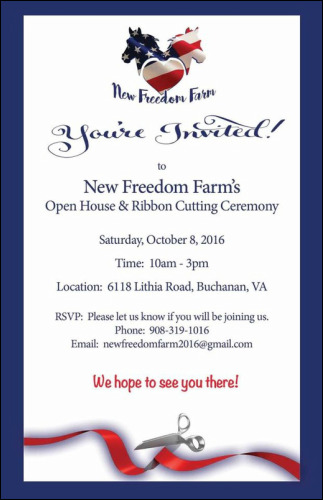 Representatives from the Bureau of Land Management Wild Horse & Burro Program will be on site to approve interested adopters. Saturday, June 25th is an exciting evening of freestyle competition and adoption! All Extreme Mustang Makeover events throughout the weekend are free to the public. Saturday, July 7th is an exciting evening of freestyle competition and adoption! All events throughout the weekend are free except for the freestyle finals performance. Tickets may be purchased in advance or on-site. All seats are general admission. Children 5 years and under are free. Saturday, August 18th is an exciting evening of freestyle competition and adoption! All events throughout the weekend are free except for the freestyle finals performance. Tickets may be purchased in advance or on-site. All seats are general admission. Children 5 years and under are free. Mustang Magic, Forth Worth, TX Sponsored by the Mustang Heritage Foundation. For tickets visit: www.mustangheritagefoundation.org This will be a SOLD OUT event... buy your tickets early.